Seeking an interesting California Bottle of Wine, we’ve always cruised down Highway 101 out of San Luis Obispo and driven PCH on a loop around two quiet appellations known as Edna Valley and the Arroyo Grande Valley. But not on this journey. South of SLO, pulling off Highway 101 onto Broad Street we cruised through farm country into a small appellation nestled in the Arroyo Grande Valley. Sitting on the lip of California’s coast, in the wind shadow of Point Conception, we found 16 wineries with interesting and distinctly tasting bottles of wine reflecting the terrior of the region. 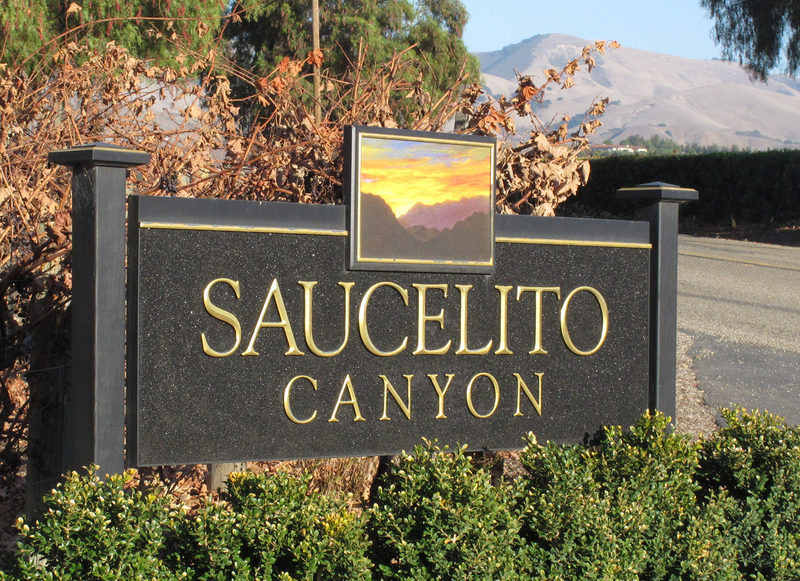 One of them is Saucelito Canyon, right in the middle of the Edna Valley on Biddle Ranch Road. Known for their Zinfandel, they pride themselves in dry farming vine dating back to the 1880s. 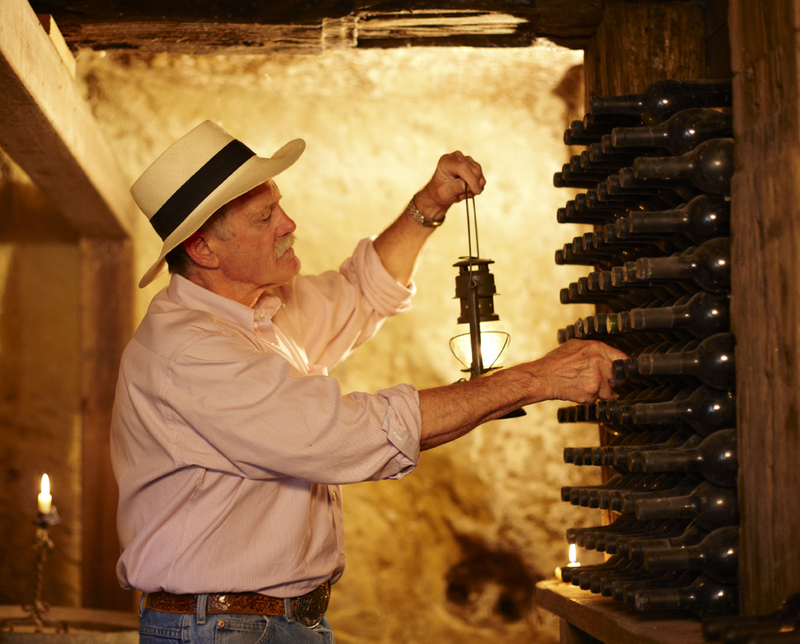 Their history dates back 130 years when an English homesteader planted his vine in the Arroyo Grande vineyards. The winery survived Prohibition but some time in the 1940s it was abandoned and fell into disrepair. According to the winery’s current owners, Bill & Nancy Greenough, cattle and deer destroyed trunks of the old vines but not roots deep in soil. The vine survived and continued pushing new growth upward. The Greenough’s bought the land in 1974, spending almost 4 years reviving Zinfandel vines still punching up from Arroyo Grande earth seeking sunshine. Their first crops (1980-1981) were sold to another wine maker. Their first vintage was 1982 according to Nancy Greenough. What did we taste? Here goes…..
We didn’t have much interaction with staff and did not really get a feel for the place, because the bar inside was very small, and it was gloriously warm on their grassy patio. With a crowd filling the tasting room and the warm sun shining on their makeshift bar outside, we were chose the latter. What better place to enjoy some cheese, apple & crackers while tasting Zinfandels and basking in the sunny glow of a California winter day. 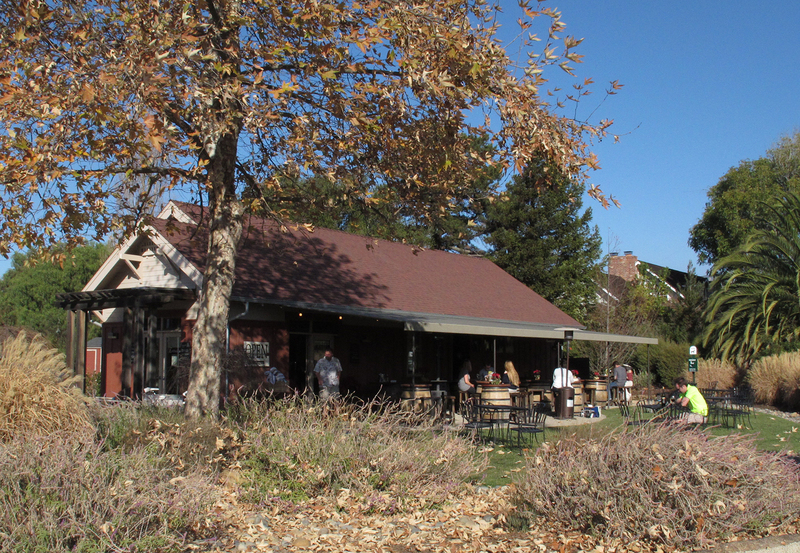 For us, OTBN was simply a chance to savor an interesting wine, and remember a sunny winter day lunching on their patio, enjoying old-vine Zinfandels. ✰+ + means -We’re hooked and we’re going to buy this wine. When you see -✰/✰+ with a slash, it means we disagree. This entry was posted in California Wineries - New World Wines, Edna Valley (San Luis Obispo), Tasting Room Etiquite, The Pleasures of Tasting Wine, Thoughts About Wine - Exploding Ruby Flowers On Your Palette, Zinfandel and tagged bottle of wine, california, wine, wine tasting room, winemaker, wineries, zinfandel.